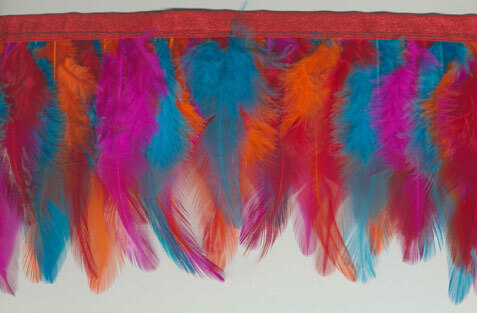 Bright, vivid feather colors are intermixed in this unique fringe. Feather colors include turquoise, orange, shocking pink and red. Feathers are 3" long.